Not to be confused with the album of the same title, but this is a mixtape that features songs on said album, and also a very Hip Hop feel as to what remixes used to sound like, remember those days? When songs were actually remixed with the same vocals but different instrumentals and released on a CD? This is going back 10 or so more years ago, but that’s what this mixtape features. 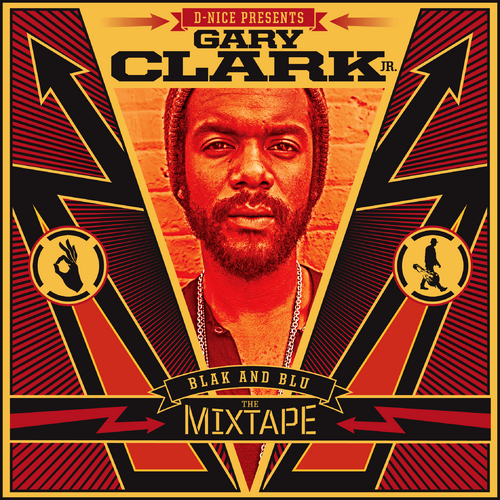 Gary Clark Jr. has been receiving high praise since the release of Blak & Blu in October of 2012 (same day as Kendrick Lamar’s GKMC, oddly enough), and for it to be his first album and he’s been touring everywhere and playing at established venues and events (Kennedy Center, the President of the USA, etc. ), it brings full appreciation to me that I was able to see him at Made in America in 2012 (he’s also still the only artist to have a show on both days). His talent isn’t to go unrecognized at all, and a reason why he might is because he’s a blend of rock & roll, and R&B. No matter what genre you place him under, he makes great music, and I recommend the album most definitely. This mixtape is full of remixes with contributions from Big K.R.I.T (both rapping & producing), Talib Kweli, Bilal, Robert Glasper, and Alice Smith. Hopefully this tape will help expose him to a different crowd who haven’t his music as of yet, because it definitely appeals to all sides, so check it out and most importantly – Enjoy.